Fashion Law: What Is It and When Did It Get Here? Usually, when people hear the term "Fashion Law" they immediately think intellectual property. While intellectual property considerations are certainly a growing concern due to the ease in which products can be counterfeited, fashion law encompasses so much more. Fashion law attorney Rania Sedhom and Expert Insights Consultant Bob Shullman address the other areas of law and their effect on the fashion industry. Through this program, Rania and Bob illuminate how being a fashion lawyer requires a combined deep understanding of the industry along with substantive knowledge of various legal principles across several disciplines. This program begins with an overview of the fashion industry with a specific focus on the history of fashion in New York and why fashion is such a thriving industry. The program then progresses to reveal the primary legal disciplines that are of significant interest for fashion companies and the various legal principles involved. This program is geared for all attorneys interested in fashion law as well as providing an excellent refresher for fashion law practitioners. Bob has years of practical business experience in leadership, marketing and media research and consulting, as well as in strategic planning and execution roles. His wealth of experience of has focused on business and brand strategy and equity, customer satisfaction and loyalty issues as well as on the media and advertising research arenas. He has conducted thousands of research and consulting studies among both consumers and business people; primarily, in three business areas: the luxury and affluent markets, financial and wealth services, as well as media and entertainment. Prior to launching The Shullman Research Center, Bob held senior leadership positions with several leading marketing research and consulting firms including most recently one of the major syndicated research firms, Ipsos Mendelsohn, where he was its CEO and spent four years transforming The Mendelsohn Affluent Survey into a consumer insights tool as well as a media-planning tool. He has also worked at the American Express Company for ten years in senior leadership positions in its travel-related businesses as well as its investment management and insurance subsidiaries. Bob speaks extensively on marketing, business, and research topics in the U.S. and abroad. He also advises organizations regarding the ins and outs of the surveying processes. He has been featured on CNBC’s Squawk on the Street focusing on the American Affluent Marketplace. He also authors columns and articles for Luxury Daily, Ad Age, Adweek, MediaPost, and Barron’s while also appearing on Fox Business News, Bloomberg Radio and WSJ.com. Bob holds a BA from Georgetown University in American History and an MBA in marketing from NYU’s Stern School of Business where he also completed the majority of the course-work needed for a PhD in finance. Great industry insights, thank you. Very comprehensive review of issues relating to this industry. From someone who represents clients in this industry this lecture was a novel and excellent way to approach issues that you actually encounter in doing so. As the introduction states most such courses on this industry focus on IP issues-- so this was approach was refreshing and helpful. Interesting subject presented in a converstional manner. Enjoyed it. Interesting, novel topic and one of the best "team" presentations I have seen. 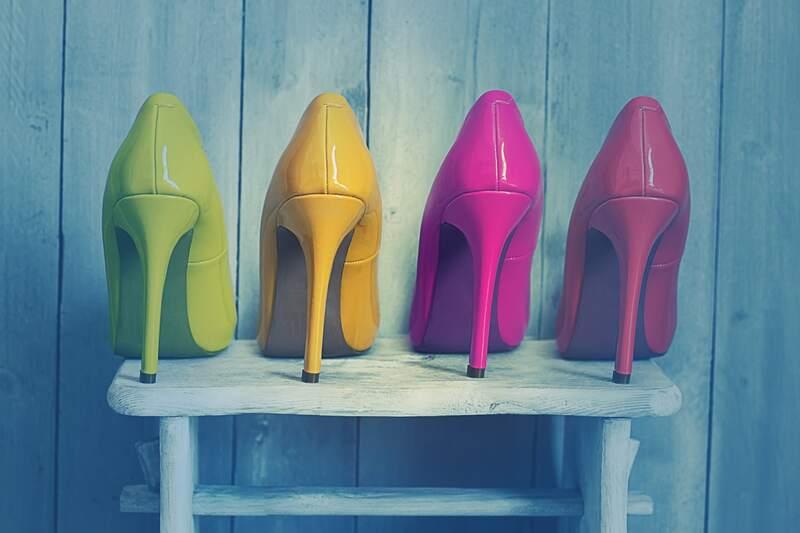 It's a very good course to learn what common practice areas are in the realm of fashion law. I enjoyed the discussion on 3D Printing and it's current affect on the fashion industry. This was a good discussion of how certain areas of business involve multiple areas of legal practice. Broad overview and well presented. I found this presenter, Rania Sedhom, to be knowledgeable and interesting, particularly the discussion of 3-D printing. Good overview of fashion industry and legal issues unique to fashion businesses. Good. It was a lot to take in. large area of law. under the radar for me. So much valuable information crammed into 90 minutes! This may very well be a 2 hour course. I liked the conversational exchange format.